Tool requirements for strip planking a paddleboard are simple; a basic set of hand tools and a few basic power tools are all that is required. The enhancement of our woodshops with a more diverse set of tools is something most woodworkers strive for, but strip planking is simple and the tools that you need to perform most of the strip plank build tasks are as well. What’s the most important tool in the wood shop for strip planking you ask? I’d say the sharpening stone! Block planes and chisels are used extensively in strip planking and sharp tools are a must. 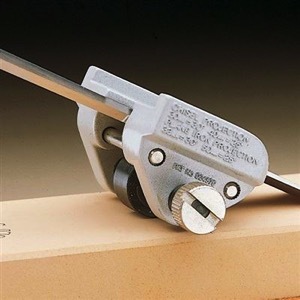 Hand tools such as a Japanese pull saw, a low angle block plane and a basic assortment of decent bench chisels will go far in getting your strip planked board built. The ability to keep your plane iron and chisels sharp is the key to success with chisels and planes, and there are many simple and inexpensive ways to accomplish this task. Dull tools don’t perform well, aren’t fun to use and can be dangerous. Power tools such as a table saw, random orbit sander and a shop vacuum would be high on the list of tools I would also include in a “basic” set of tools. If you have a table saw and plan to mill your own planking strips, I would also invest in a good thin kerf table saw blade. The performance of a marginal quality table saw can be greatly enhanced with the use of a quality saw blade and thin kerf blades allow for maximizing the yield of strips from your stock. The importance of keeping the table saw blade sharp is also important just as it is with hand tools.